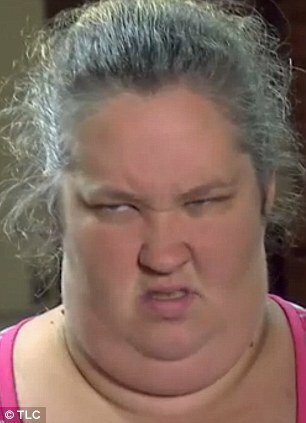 Home Tags Posts tagged with "bingo hall"
Honey Boo Boo’s mother, June Shannon, is seen showing off her “Bingo face” in a clip from tomorrow’s episode of the family’s TLC reality show. June Shannon reveals herself to be an ardent fan of the game, which she insists “is a sport”, in the next installment of Here Comes Honey Boo Boo. The new clip sees her steal the limelight from her pageant queen daughter Alana Thompson, six, aka Honey Boo Boo, when she reveals that her short-sightedness causes her to squint during games. She tells the camera: “Bingo and couponing is my all time favorite sport, but playing Bingo I have to be more intense because my eyesight isn’t that good. The mother-of-four, 32, who recently became a grandmother, is seen taking daughters Anna “Chikadee”, 17, “Chubbs” (aka Jessica), 15, Lauryn “Pumpkin”, 12, and Alana to a local Bingo hall. “Bingo is a sport. It’s a way to calm me down and relax,” June Shannon says. She adds that her goal is to win money to fund Alana Thompson’s pageant career, and admits as much to a fellow player. “I’m looking to win the big jackpot at the end,” she says. It appears to be Honey Boo Boo’s first time at Bingo, but being just six years old, she fails to grasp the concept – despite efforts from her mother and sisters to explain how the game works. Instead, she is more entertained by the marker pens provided, doodling smiley faces on napkins instead of marking off the numbers called. The same episode, which will air tomorrow, includes a trip to the beauty salon, tips from a local pageant queen and Honey Boo Boo’ seventh birthday bash.